re-sealing stamped concrete Archives - Sealant Depot, INC. 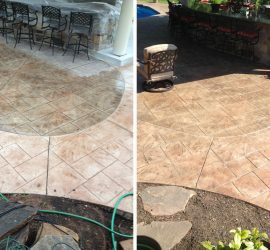 This tells how a homeowner utilized products from Sealant Depot to improve the color consistency on two separate stamped concrete projects. Re-Sealing Stamped Concrete Know What You’re Sealing Over!